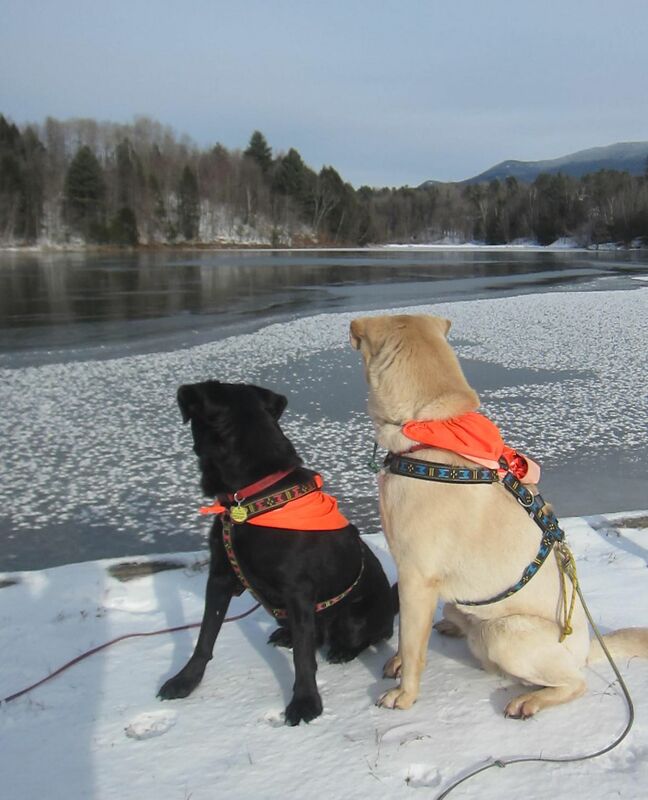 A Snowy Hike to our local paddling spot….. | Vermont Paddle Pups! 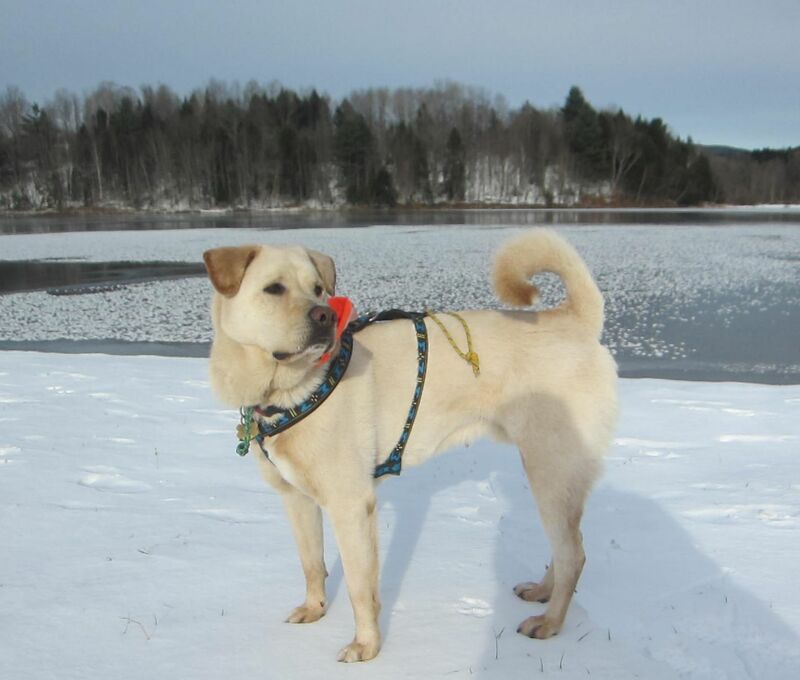 A Snowy Hike to our local paddling spot….. The morning started off a bit cool…minus 5 degrees (f), but by noon, it was a balmy 16 degrees. Since rifle season does not end until tomorrow, we headed off to one of our “safe spots” for hiking. At one of our favorite local paddling spots, there are a few nice trails, allowing for a different view of the water. The dogs had a great time, though they seemed a bit confused as to why we were not getting into a canoe. Soon, we will be needing snowshoes! Why aren’t we heading out there in the boat? 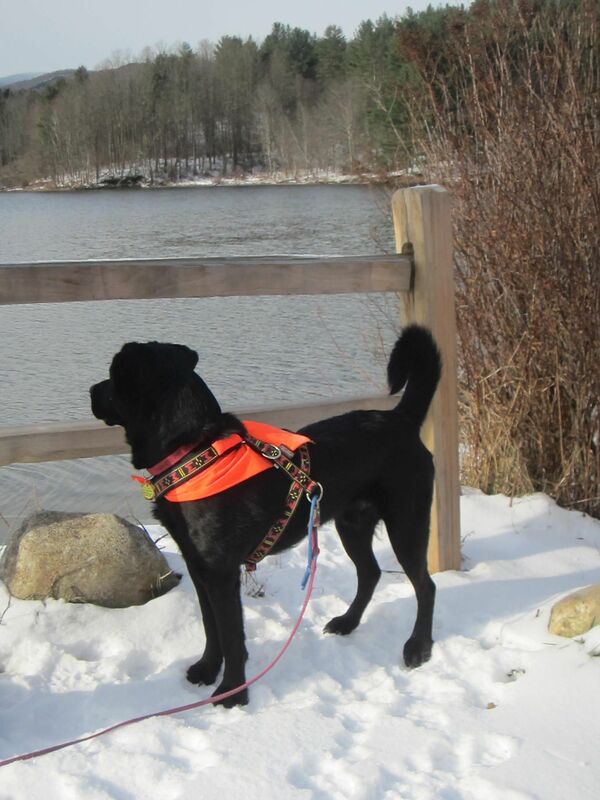 Edgar checking out the pair of loons that have yet to leave for their winter habitat…. Beautiful rime frost blossoms on the top of the ice layer forming on the water…..